OS NOCTAMBULOS — SONG FOR OLIVIER – IS YOUR CLAM IN A JAM? 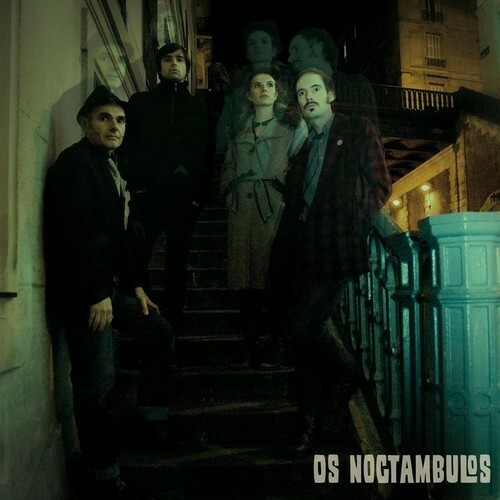 Os Noctambulos are from Paris, and for a city whose psychedelic scene seems to be moving more towards the pop side of things (Melody’s Echo Chamber, Moodoid etc) they take things deep into the gritty night. Equally inspired by 60s US garage as its current revival, their reverb drenched moonshine music strikes a chord (or three) in a way that most nostalgic revivalists can’t, keeping things interesting and fresh and man, check that voice out! A Song For Olivier is a sleepless night lying in bed with a lamp-post’s light shining dimly though your shutters. You roll around in bed trying to sleep but all you can think is what your lover is doing without you. All your thoughts are flying towards what they’re doing without you. You try to get high but your loneliness would only make matters worse. You’ve tried to put your love across their indifference, and the constant worry in your soul keeps your mind on pins and needles. As you hear a click the light outside turns off leading the way to the dawning sun, you look back at the white ceiling and wake up in the daylight. There’s a message on your phone and you realise that maybe it’s only the spiders in your mind that won’t leave you alone. Check out A Song For Olivier below (you can download it for free too!) and go get their excellent album, Corsica Garden out on Evil Hoodoo HERE.